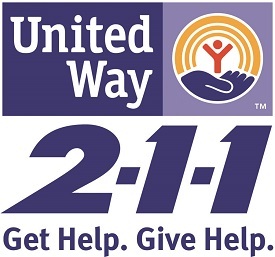 2-1-1 is an easy-to-remember number that helps connect individuals and families to community-based organizations. 2-1-1 is staffed 24/7 by trained volunteers and staff who listen to your situation and refer you to the most appropriate source of assistance. 2-1-1 saves time and frustration through specialists who match callers to the right agency based on each caller's need. All calls are free, anonymous and confidential. Callers can get live assistance with needs such as: Food and shelter, Counseling and mental health services, Income and employment support, Help for the elderly and people with disabilities, Resources for children and families, Domestic Abuse, Drug/Alcohol Rehabilitation, Disaster Recovery. How does it work? Simply dial 2-1-1 from any telephone. The Community Resources for Youth (CRY) Breakfast is held annually in October. Educators, law enforcement, clergy, and community agencies that provide services to youth are invited. The CRY Breakfast is a good resource to understand the services offered at local agencies and find appropriate contact information.